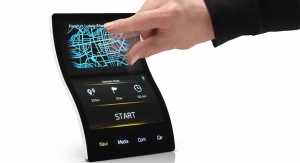 Touch Screens - The Independent Global Source for the Flexible and Printed Electronics Industry. 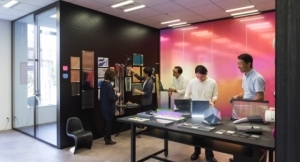 Manufacturers are seeing opportunities in the OLED and flexible display markets. 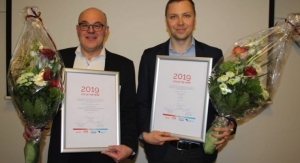 Ilkka Varjos receives ‘The CTO of the Year 2019’ award in category of small and medium sized companies. 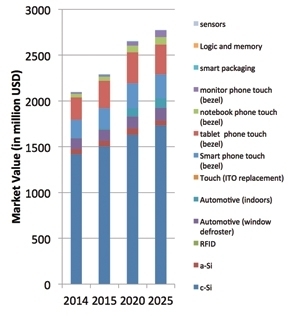 Smartphone shipments are forecast to reach 1.54 billion units in 2023, per the research. 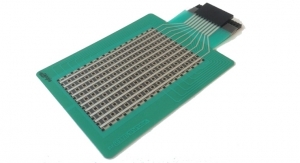 Metal mesh conductors have broad applicability across touch sensors of all sizes. Metal mesh conductor technology is used in the construction of projected capacitive touch sensors. Will feature Synaptics’ glass-based TouchPad technology with OXi-based Clear ID optical fingerprint sensor. CES takes place Jan. 8-11 at the Las Vegas Convention Center. Court orders immediate ban on import, sale and offers for sale of various Apple iPhone models in China. 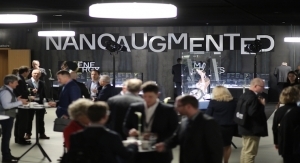 Canatu’s CNB films and sensors are used to create seamless interior design. Phoseon is at booth M1101. 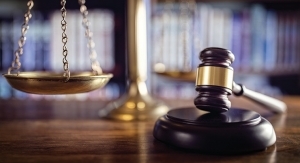 Company expects to report EPS at the high-end of prior guidance for the June quarter. Huawei Surpasses Apple, moving into second position. Hardened encryption, unmatched security for business and consumer PCs on AMD platforms. 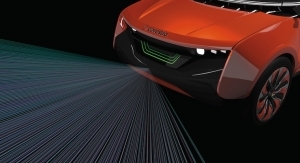 Integration of light, sensors and electronics to stimulate growth of intelligent lighting solutions in the automotive sector. Have been working on a new type of transparent, 3D touch surfaces in automotive interiors. ASUS ROG leverages Synaptics’ imaging processing and technologies designed to enhance OLED displays. Clear ID Optical In-Display Fingerprint Sensors are featured on new Xiaomi Mi 8 smartphones. 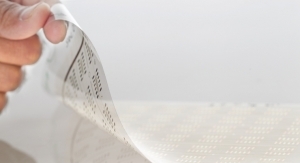 Smart displays leverage E Ink’s ePaper technology and offer a cost-saving digital alternative to conventional paper signage. Entering sensor business arena to enable the era of highly-developed security. 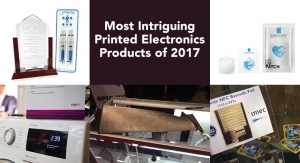 Receives Best of Show recognition at CES 2018 from several industry publications. OLED DDICs support extra-long 20:9 Infinity displays, notches and rounded corners. 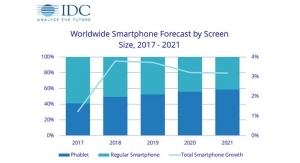 Phablets are expected to hit one billion units by 2021, according to IDC. 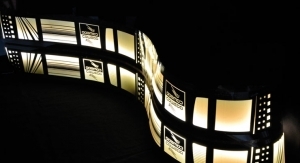 Helps to deliver engineered HMI solutions that are more reliable in the most challenging environments. Company meets Q3 2017 revenue, GAAP EPS guidance, and exceeds gross margin, non-GAAP EPS guidance. Adds support for extra-long 19:9 aspect ratio, IGZO display technology. Synaptics Natural ID fingerprint sensors are featured on the new Huawei Honor 7X and the Maimang 6. 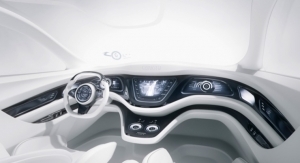 Highlights solutions that make the user interface of the autonomous driving adjustable, intuitive and space conscious. Enter into a manufacturing and marketing partnership in China. Net revenue for the second quarter decreased 2.2% sequentially to $151.7 million, in-line with the company’s guidance. 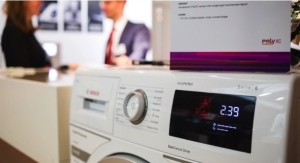 Accelerates consumer IoT strategy, adds voice technology, diversifies customer base. 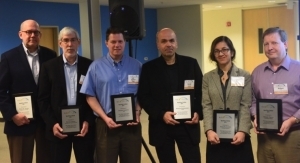 Receives 2017 Best of Sensors Expo - Silver Applications Award. Highlights processor for low-resource IoT devices. General Interface Solutions, a subsidiary of Foxconn, and UniPixel work to combine technology advantages. Accelerates consumer IoT, adds voice and video capabilities. Acer Switch 5 features industry-leading SecureLink end-to-end encryption. 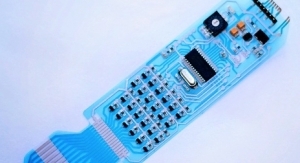 Enables ePaper Displays with 400ppi and 600ppi pixel density. 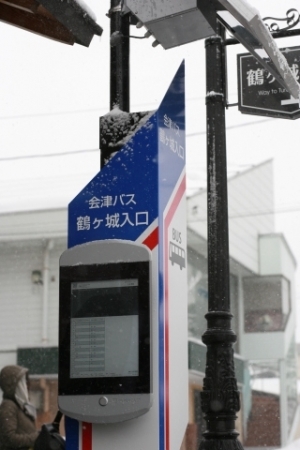 GVIDO marks first application of E Ink’s 13.3-inch Carta technology in a dual-screen format. 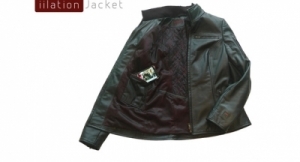 Solution includes force sensing, glass/ceramic coverings, soft-buttons support. UniPixel touch sensors pass 200,000 cycle fold test. Product features an 8-inch high definition screen with a 1920 x 1200 LCD. BCTC is China’s first fingerprint qualification authority. 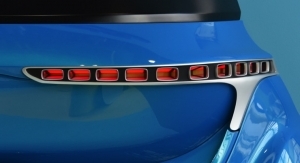 Opportunities include curved displays in dashboards, sensors and OLEDs in vehicle lighting. Smartphone features Google Tango, secure authentication, high performance touch. 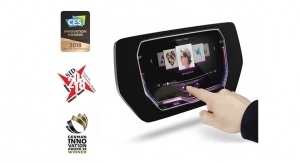 TouchView TDDI, Natural ID provide high performance, biometric user security. Combines fingerprint authentication, facial recognition for enhanced security. Vibe P2 enables secure, password-free access to unlock the device and provide swift access to mobile payments. 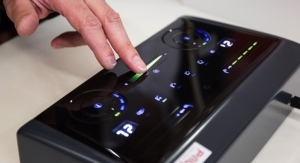 Partnership expands China presence, enables new fingerprint solutions. The R66452 OLED DDIC includes Synaptics’ latest OLED image processing technology. Prior to joining CTT, he was SVP of chip design at Samsung Cambridge Solutions Centre. Enables high-performance secure authentication through 1mm cover glass. 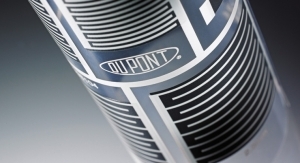 Funds will accelerate time to market and grow team to meet OEM customer demand. Pioneering innovations lead to class-leading resolution, greater touch control and screen manipulation. Offers secure, high-performance biometric authentication on its flagship tablet. Ultra-slim, one-touch authentication mounted on side-edge of phones. Supports its 5.89-inch screen and Full HD resolution, and includes integrated RAM. Provides features such as gloved touch, grip and palm suppression, and low-power wake-up gestures. Enables users to easily unlock the phone with a touch of the finger. DDIC supports large 15-inch screens, as well as free-form and curved displays. Natural ID one-touch fingerprint sensors selected for secure biometric user authentication. TouchView TDDI merges touchscreen controller and display driver IC technologies into a single chip. 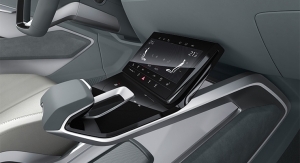 Goal is to enhance automotive interior systems through functional interior parts with tactile functionality. TouchView TDDI merges touchscreen controller and display driver IC (DDIC) technologies into a single chip. Solutions support wide range of touchscreens from 5 to 18 inches. Durable glass buttons are increasingly being adopted on smartphones. 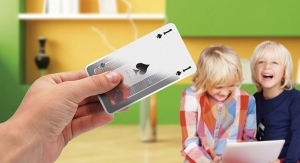 Natural ID biometric authentication is integrated with TouchPad. 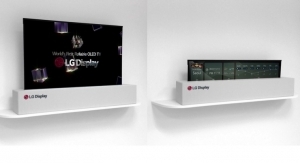 Shipping in mass production volumes in the latest LG Electronics smartphone models. Smartphone manufacturers enable their premium models to feature high-end touchscreens, longer battery life. The first connected watch with a built-in SIM. Dr. Michael G. Vale, Dr. Joaquin Delgado both named EVP. 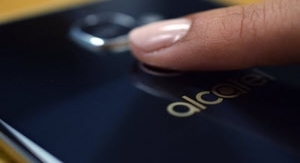 Synaptics’ Natural ID biometric authentication securely unlocks Alcatel devices. Enables designers, engineers to rapidly integrate fingerprint sensors into prototypes and demo systems. Optically-bonded, 84-inch 4K interactive display features fine-tip stylus capability for a pen-on-paper writing experience. Selected for chose high-performance authentication, unique security features. Expands Natural ID market to include after-market upgrades. The S3603 and S7611 discrete touchscreen controller solutions reduce overall costs for OEMs/ODMs. New website is response to demand for its 3D Touch Technology. Meizu is one of the top smartphone manufacturers in China. Prior to joining Peratech, Dr. Beckenbaugh served as CTO of Multek. Addresses wide-range of display resolutions from Full HD smartphones to wearables. 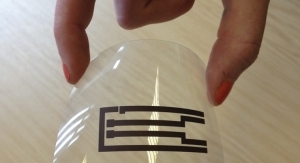 Collaboration to deliver force-sensing touchscreens with haptics. Program will leverage UniPixel’s XTouch touchscreen sensors. 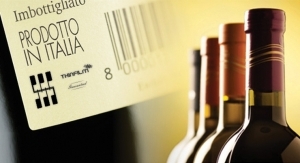 Sale of high technology production facility and intellectual property. 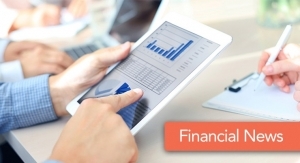 SentryPoint offers highest level of secure fingerprint authentication. Targets side edge of smartphone, enables sleek industrial designs. Will use Inkron’s Optical Coating photo-patternable dielectric and light control materials for OLEDs, on-cell touch screens. 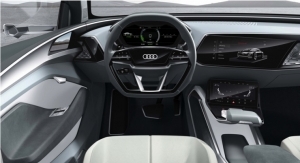 Human interface innovation allows drivers and passengers to more safely control common and emerging cabin applications. 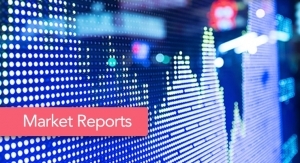 Record December quarter revenue of $471 million, December quarter non-GAAP EPS of $1.60. US DoE, GM collegiate engineering competition challenges students to become next generation of automotive scientists. 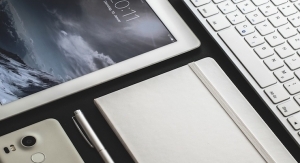 TouchPad solution leverages an advanced, touch-sensitive interface. 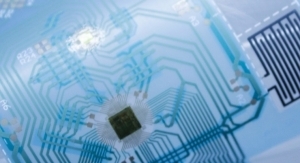 Done through deposition of organic printed photodetectors onto a plastic organic thin-film transistor backplane. New S1423 designed for smartwatches, emerging wearables, diverse touchscreens. 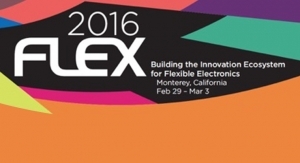 Topics include printed electronics, flexible hybrid electronics, 3D printing and more. Honored as Best Mobile Innovator and Best Technology Breakthrough. 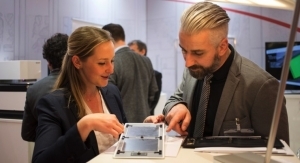 Demonstrates affordable, projected capacitive large format touch screen technology at CES 2016. 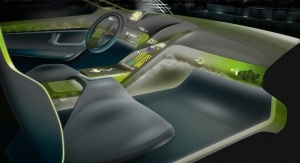 Demonstrates innovations that extend into automotive, wearables and gaming. OEMs realize faster time to market, proven pre-deployment testing. Will power its newest flagship smartphones, the Nexus 5X by LG and the Nexus 6P by Huawei. 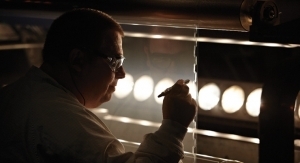 New systems allow display makers to replace the rigid insulating front glass on the devices. 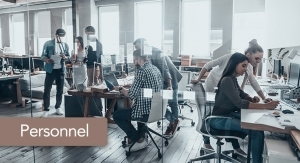 The latest ClearPad family of products extends into multiple market segments with new functionality. Providing users speed scrolling, zoom, gaming and text or photo editing by applying variable force with a finger or stylus. The new Vibe P1 enables secure, password-free access to unlock the device. Slide and tap actions from side of smartphone enable new user experience. 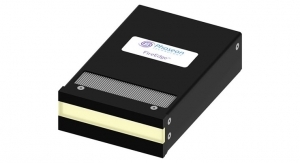 Will manufacture touch modules for large format projected capacitive touch screens. 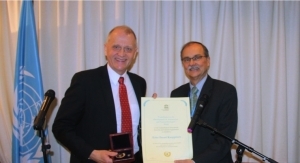 Most recently was with UK’s Knowledge Transfer Network. Works with customers, partners to implement biometric authentication solutions more quickly and efficiently. 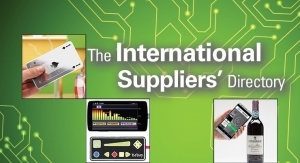 Jarvie was VP of global sales and business development at Interlink Electronics. 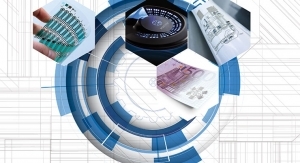 Survey finds 97% of respondents believe IoT is most significant initiative of the decade. Record 2015 revenue of $1.7 billion is up 80%, while record June quarter revenue of $479 million is up 52% year-over-year. 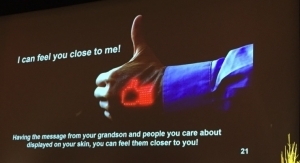 Capacitive touch takes off in growing wearables market. 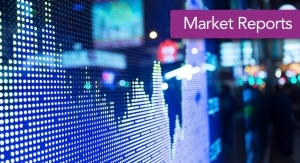 Positions company to increase market share in mainstream smartphone, tablet markets. 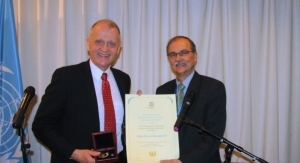 Professor Henning Sirringhaus receives distinguished honor. Unmatched security enhancement driven by secure mobile transaction growth, password burdens. High output, compact dimensions of Oslux SFH 4780S makes it ideal for iris scanning. Funding will help tech firm add staff, capitalize on new revenue opportunities. Latest fingerprint sensor solution delivers authentication, security. 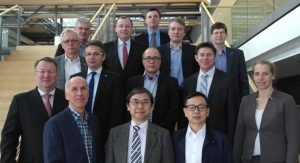 Goal is improving roll-to-roll manufacturing of next generation battery and energy storage devices and materials. 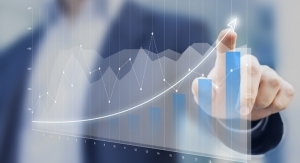 Continued momentum of Natural ID solutions shows leadership in biometrics market. 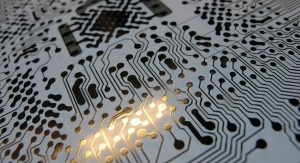 Sicrys silver and copper nano-metric digital inks may help accelerate adoption of printed electronics. SCHOTT licenses latest technology to established Asian manufacturers for reliable and fast supply. 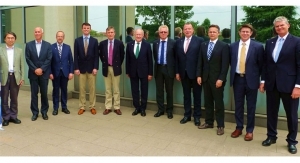 Deal enables rapid production at scale of new era technologies for the touch sensor and display industry. 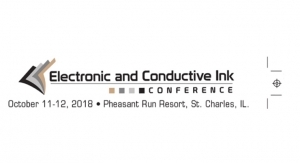 Printed Electronics Symposium: Why is Capacitive Touch Technology Important? 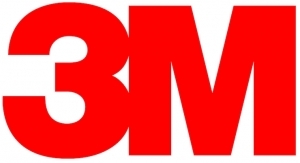 GM Nameplate's National Manager – Electronic Products Steve Baker explains the how and why. 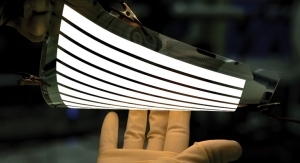 OLEDs for lighting and displays, sensors provide opportunities for flexible electronics. 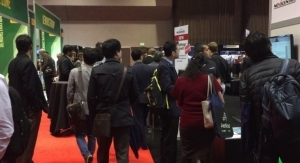 Sensors, wearables, displays, solar cells and more are on hand at major electronics show. 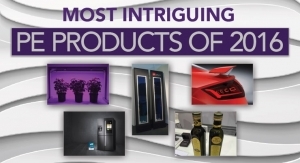 Here's a look at five interesting technologies that have either reached the market or are nearing commercialization. 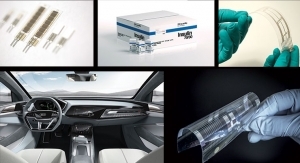 Company presents their Iflex and complex curve technology solutions to automotive, aerospace, medical and wearable markets. 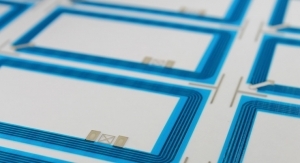 Ink manufacturer brings expertise from membrane switches to the field of capacitive touch interfaces. 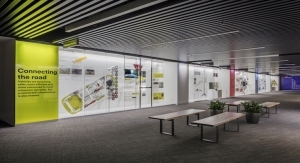 Interior design possibilities are driving interest in flexible and printed electronics. Successfully develops corrosion, ice detection sensors for aircraft. Speakers from Coca-Cola, Colgate-Palmolive, HP and Bayer Healthcare among those who will discuss new opportunities.